Qflash TRIO Flash. My goal is to provide a pleasant and enjoyable deal. I have been collecting and self educating for a while. I’m not perfect and never will be. Works Excellent. 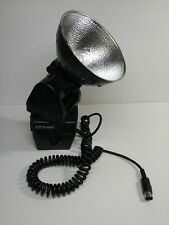 I dont have the flashtube or reflector anymore but you can get those on ebay. Quantum Instruments T5D-R Qflash Flash. Condition is Used. Shipped with USPS Priority Mail. Quantum Instruments Q FLASH TTL T2 - NEW! Still in orig. packaging Never Used. I Never used this Q flash. Photos show contents and condition. Professional Auto/TTL Flash Unit, to use with Quantum Turbo Batteries. Bounce & Swivel head. 1/3 stop auto or manual settings. 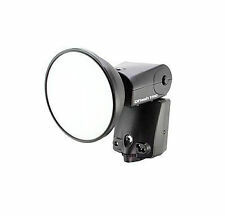 TTL, multi-flash strobe modes. 4.5 out of 5 stars - Quantum Instruments Q FLASH TTL T2 - NEW! Still in orig. packaging Never Used. 11 product ratings11 product ratings - Quantum Instruments Q FLASH TTL T2 - NEW! Still in orig. packaging Never Used. 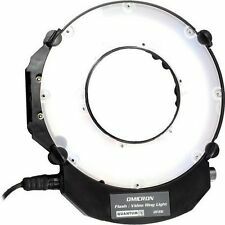 Quantum Instruments Qflash QF8C Shoe Mount Flash in original box. This flash is like new and used very little, I was going to start to do weddings again until I realized how much work and drama comes with that today. Original owner and well cared for in home. Has built in FireXwire! For location portraiture (beach, desert, park, etc.) use wireless TTL when photographing subjects at longer distances, when TTL cables are not practical. Quantum's wireless TTL adapters work with both Qflash T & Qflash X series. Quantum Instruments Modeling Lamp - 35 watts - for Qflash X/X2. Condition is New. Shipped with USPS Priority Mail. 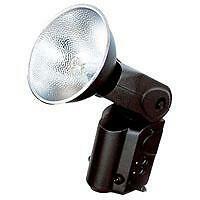 TheQflash TRIO "BASIC" is a more affordable speedlite. It includes Qflash TRIO features, full TTL dedication for Nikon DSLR's, High Speed Sync, without a built-in FreeXwire TTL radio. Pros worldwide depend on Qflash for high quantity rapid flash firing. Condition is Used like new. (only used twice). This flash has not been tested but appears to be in good condition.